Hancock Industrial Limited is centrally located in Auckland, close to the CBD and within easy distance from major arterial routes. 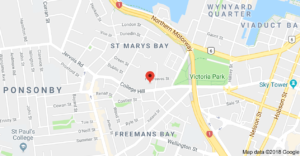 We are open Monday to Friday 8.00 a.m. to 5.00 p.m.
We provide overnight courier delivery service throughout New Zealand, or same day delivery for local destinations. We welcome your enquiry by phone, fax or email to the addresses listed below.